Virgin America, the award-winning airline, today announces it is the Official Airline of Rock the Vote this election season in a new partnership with the largest non-profit organization in the United States with the mission of encouraging youth voter participation. Over the next few weeks, Virgin America will be rolling out the ability for guests to register to vote at 35,000 feet via the airline’s in-flight WiFi by accessing Rock the Vote for free. Flyers will also be able to obtain more information about Rock the Vote and contribute to the organization via the airline’s “Make a Difference” donation platform on the Red® seatback entertainment system. The airline is kicking off this new partnership with Rock the Vote by polling its fans and flyers on which candidate they would most like to see in The White House – including one of TV’s most infamous presidential candidates, House of Cards’ Frank Underwood. Last fall, Virgin America launched a partnership with Netflix to bring its full catalogue of award-winning films and television shows to the skies – including the hit series House of Cards – complete with a House of Cards and Netflix branded aircraft. Since launching in 2007, Virgin America has brought democratic ideals to the skies by offering travelers more choice and more options, including fleetwide WiFi,* power outlets at every seat and the ability for flyers to eat, drink and watch what they want , when they want on-demand with its Red entertainment system. The airline will be contributing $25,000 (in cash and in-kind tickets) to Rock the Vote in support of their voter education and engagement programs this year. This summer, Virgin America will also debut Rock the Vote election video content onboard, including public service announcements. Virgin America also partnered with Rock the Vote in 2012 as part of its “Both Sides of the Aisle Win” themed inaugural flight from San Francisco International Airport (SFO) to Washington’s Reagan National Airport (DCA), when it became the first airline to allow voter registration in-flight. As part of its SFO – DCA inaugural activities, the airline also invited some very recognizable “politicos” – candidate impersonators as “Mitt” and “Barack” – who made their pitch to travelers on both sides of the aisle to help “get out the vote” at 35,000 feet. To take Virgin America’s Presidential election poll, visit: vgn.am/NetflixAndRockTheVote. Virgin America’s service is uniquely tailored to the modern traveler, with new aircraft that offer three custom-designed classes of service, touch-screen personal entertainment and an award-winning on-demand food and cocktail menu on every flight. 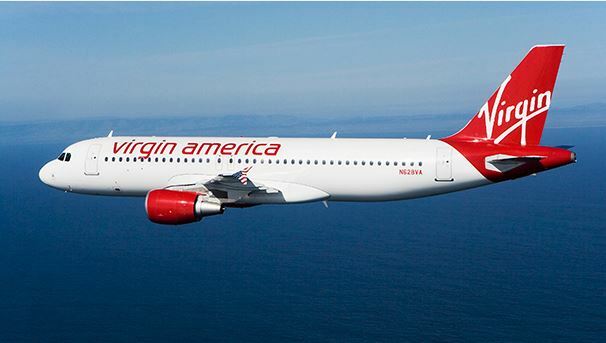 Virgin America has been named the “Best Domestic Airline” in both Condé Nast Traveler’s Readers’ Choice Awards and in Travel + Leisure’s World’s Best Awards for the past eight consecutive years. In addition to a Main Cabin that offers custom leather seating with a deeper, more comfortable pitch, Virgin America’s First Class cabin offers plush white leather seating with 55 inches of pitch, 165 degrees of recline and lumbar massagers. The carrier’s Main Cabin Select service offers 38-inches of pitch, free food and cocktails, an all-access pass to media, dedicated overhead bins and priority check-in/boarding. The Red® entertainment platform offers guests their own seatback touch-screen, with +25 latest release films, TV, interactive maps, videogames, a 3,000 song library, surround sound technology and an on-demand menu, which allows flyers to order from their seatback any time during a flight. Virgin America flies to Austin, Boston, Cancun, Chicago, Dallas Love Field, Denver, Fort Lauderdale, Las Vegas, Los Angeles, Los Cabos, Newark, New York (JFK and LGA), Orlando, Palm Springs, Portland, Puerto Vallarta, San Diego, San Francisco, Seattle, Washington D.C. (IAD and DCA), Honolulu and Kahului, Maui.